It’s hard to argue that any place is a better vacation destination for music lovers than Nashville. Home of honky-tonks and country superstars, Nashville has become a live music hotspot for all genres, with artists like U2 and Kanye West gracing the same storied stages as Dolly Parton and Johnny Cash. Wander down the legendary Broadway and into any club to find live music acts serenading the streets every night of the week. If you still haven’t taken a trip to this little big town – or if you just can’t stay away – now is the time to plan your Southern getaway. 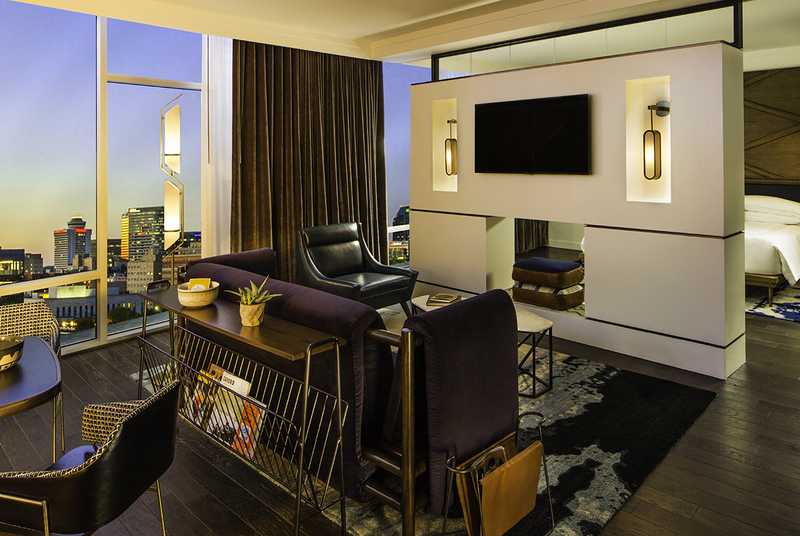 Thompson Nashville, an award-winning hotel located in the heart of The Gulch, offers local experiences for music lovers to make them feel right at home. In partnership with nearby Carter Vintage Guitars, run by the wife and husband team of Christie and Walter Carter, Thompson Nashville is offering one-hour lessons with IBMA Guitarist of the Year Molly Tuttle. 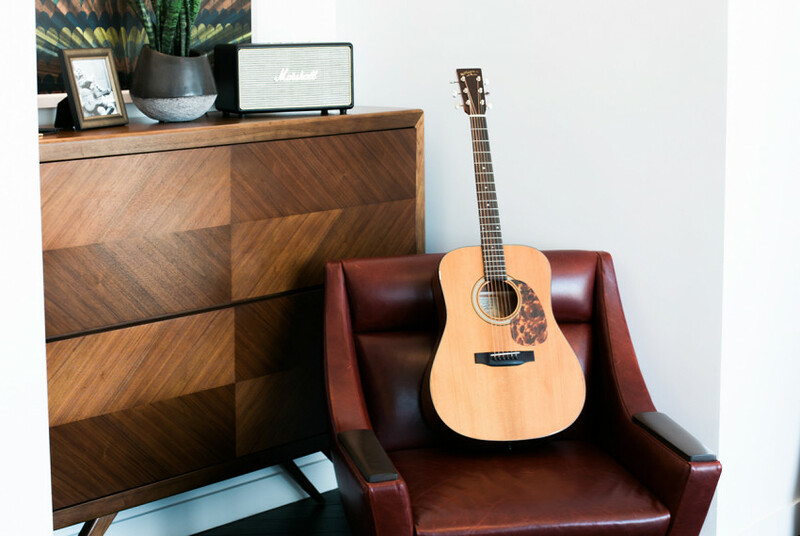 From the comfort of the hotel, enjoy use of Carter’s acoustic guitars and learn the tricks of the trade from an internationally renowned guitar picker. After the session, take a staff member-led tour of the Carter shop to view the impressive inventory, learn the history of the city’s greatest guitar legends, and snag a keepsake with a complimentary Carter Vintage Guitar Shop hat or t-shirt. If you’re feeling confident about your newly honed six-string skills and want to bring home your own, the package includes a 10 percent discount on purchased guitars. Thompson Nashville also works with its neighbor, Third Man Records, the independent record label, store, and venue founded by Jack White. 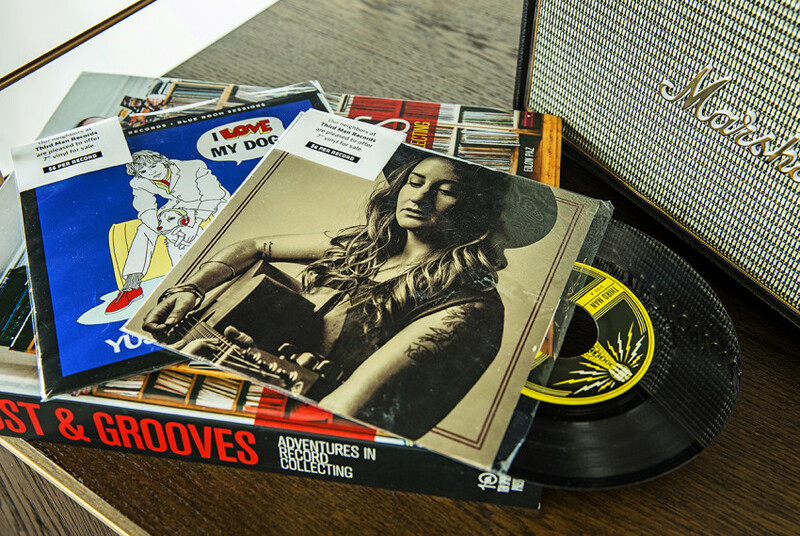 Guests will find a variety of exclusive TMR seven-inch records available in each room for purchase. The hotel also has its own turntable and vintage record collection in the lobby featuring an array of vinyl offerings to play, from vintage country to the full catalog of rock and roll label Infinity Cat Records. Once you’re geared up and guitar-ed out, make sure to stop by L.A. Jackson, the hotel’s rooftop restaurant and bar, offering dazzling views of downtown, a beer selection from nearby breweries, and a selection of Southern small plates and cast-iron dishes. Don’t put off your rocking retreat to the Music City any longer; Nashville is ready for you. As an exclusive deal for Boston magazine readers, delight in the Southern hospitality that Thompson Nashville revels in day in and day out with a special winter season discount. Enjoy 15 percent off the best available rate through February 28, 2018 by booking here. For more information, visit thompsonhotels.com.